nutrition, community and lifestyle changes. If you’re looking for a training facility that is designed to produce real results, you have come to the right place. Our facility and staff are dedicated to meeting your fitness needs and providing you with a supportive, private environment with hands on professional coaching. We don’t follow fads, trends or other “fitness and health” gimmicks. What we do is not easy, it’s hard, but it produces results! We build strength as the primary outcome of our training. Using the squat, press, deadlift, bench press and other lifts, we build functional strength. Once clients have a strength foundation, they can expand their fitness into other areas for life, recreation of sport using conditioning and skill work. By design, our gym has a small client base, and we plan to keep it that way! This allows our coaches to focus on each client with custom programming, goal setting and hands on coaching. Your fitness program will be designed for you, not the masses. We are RESULTS driven! Our gym has one membership that includes all of the benefits of being part of our community. We also offer a Barbell Start-Up program or Online Coaching Program for clients who want to independently train on their own, but learn the barbell movements from a Starting Strength Coach. Once the client learns the barbell lifts, they can work with a Starting Strength Coach Online and receive custom programming and coaching. 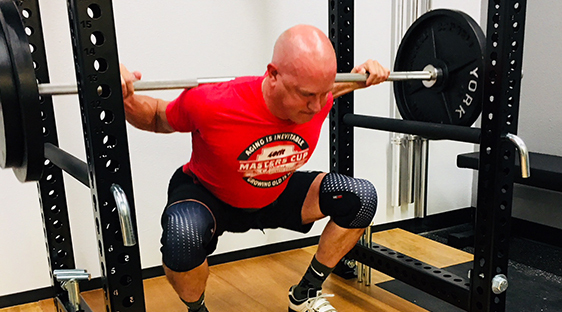 This Program is designed for the client who wants to learn the barbell movements from a Starting Strength Coach, but then work on their own in their garage gym or another local facility. For clients who want further private coaching, we offer 1:1 Starting Strength Coaching by the hour of training. Sessions are scheduled as available. If weight loss, gain or just improving your eating habits is one your goals, we offer monthly nutritional accountability added to the monthly membership. The client receives macro calculation, weekly accountability follow ups and revisions as needed. For clients who want starting strength coaching, but who have their own facility, we offer online coaching through Starting Strength Online Coaching. Contact us for a referral discount code and more information.